Difference between revisions of "How did climate change influence the rise and collapse of the ancient Maya?" 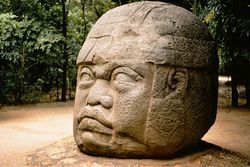 Although the so-called "Classic Maya Collapse" has long fascinated scholars, the truth is the Maya never really disappeared. Maya cultures continue to this day. However, after the Classic period, cultures before the arrival of Columbus were much reduced. The northern lowlands and highlands began to take more importance in later Maya societies. Mayan cities continued, and the last city did not fall until 1697 when the Spanish conquered the last holdout independent Mayan city. Nevertheless, changes after the Classical Maya period indicate that Mayan society did change drastically and it is evident that the environment and climate in Central America and southern Mexico were likely very different than today. 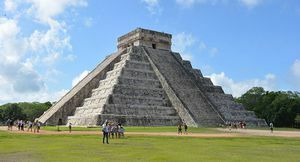 Changes that occurred meant that a system that had been created to be adapted to the climate was no longer suitable, leading to a change that meant Mayan societies became smaller-scale and adapted to very different climate and environmental conditions.